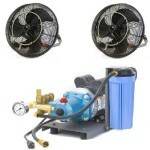 High pressure misting fans provide optimal cooling for open spaces such as backyard patios or restaurant dining areas. 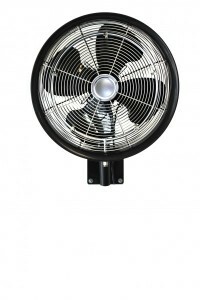 Fans help disperse the fine mist droplets throughout a larger area without getting objects wet. 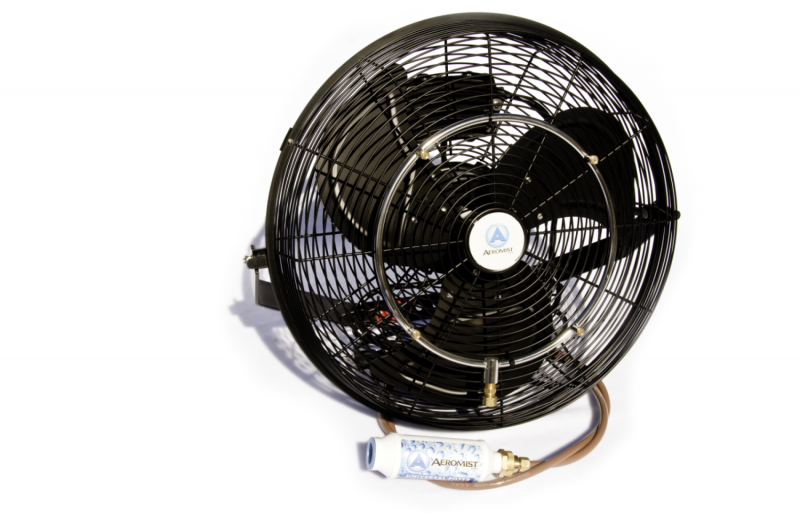 Some customers also use our misting fans to humidify warehouses, cool horse/dairy barns, and lower the ambient temperature for patrons waiting in lines at theme parks. Durable epoxy corrosion black finish industrial grade aluminum blades. Completely sealed and outdoor rated. Includes mounting bracket and stainless steel hardware/all metal construction. 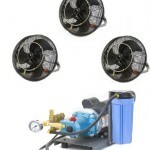 Stainless steel mist ring with (4) .012 misting nozzles, pre-wired with a 12 FT 115 volt heavy duty cord, and an in-line filter. 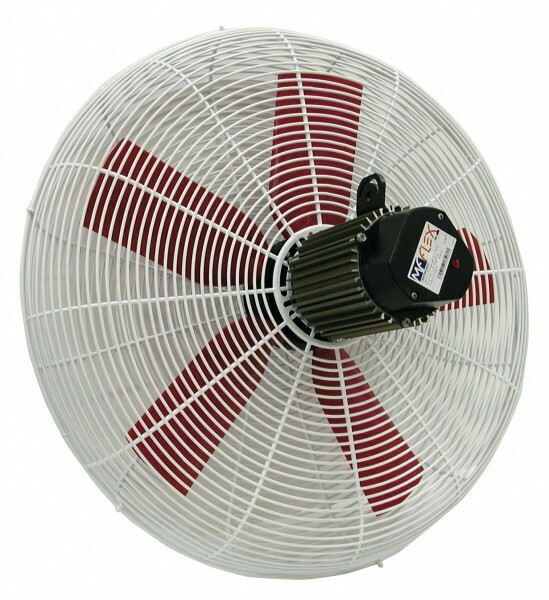 Installed as part of a package with standard misting system purchase, this is a revolutionary oscillating 18″ misting fan. A 5 nozzle hub is built right int oteh grill of the fan! 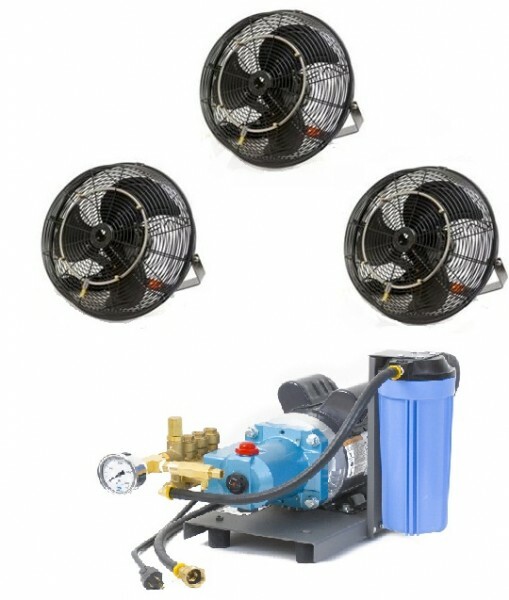 The 5 nozzles help to disperse the water vapor over a wider area of coverage to produce an evaporative mist and cool your patio or warehouse up to 30 degrees F. This fan will make a cooling addition to any patio. A high pressure misting pump provides the best atomization and patio cooling. 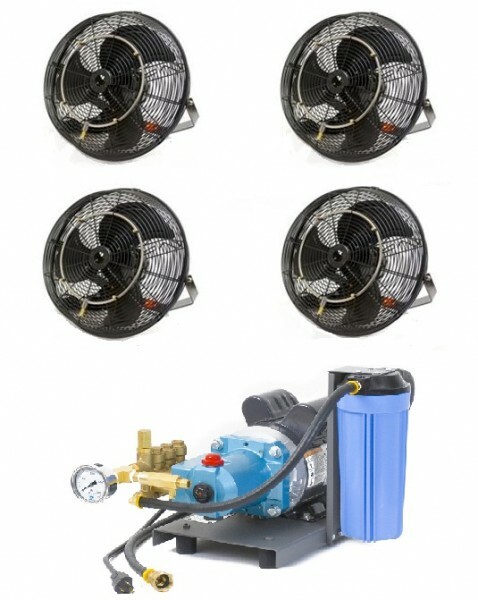 (Nozzles and nylon sold separately). 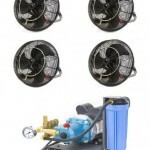 Installed as part of a package with standard misting system purchase.